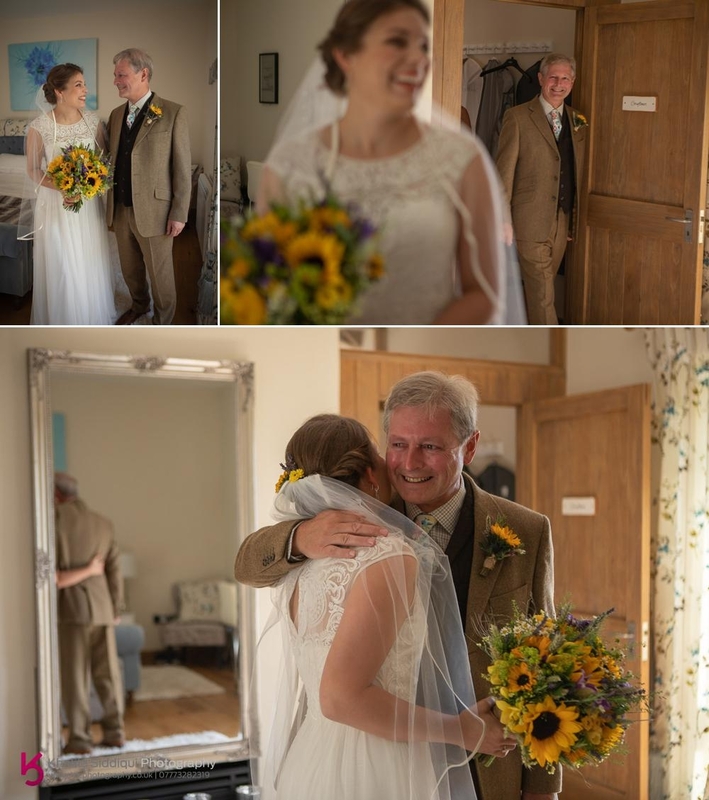 I was lucky enough to get to photograph this Shilstone wedding after I came across Emily and Adam at a wedding fair in Plymouth. 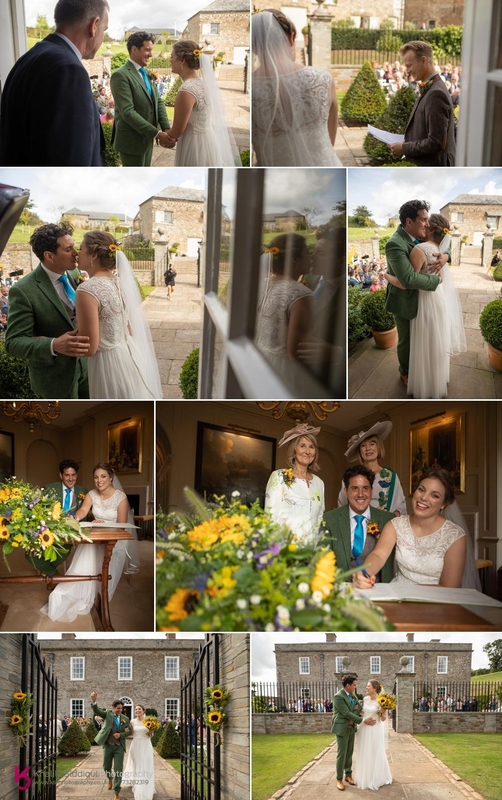 I'd never heard of Shilstone before Emily and Adam spoke of the venue that they'd chosen for their wedding venue. Needless to say I was super excited after visiting their website. This private home that opens up for exclusive weddings is SUPER immaculate inside, outside and throughout the grounds. 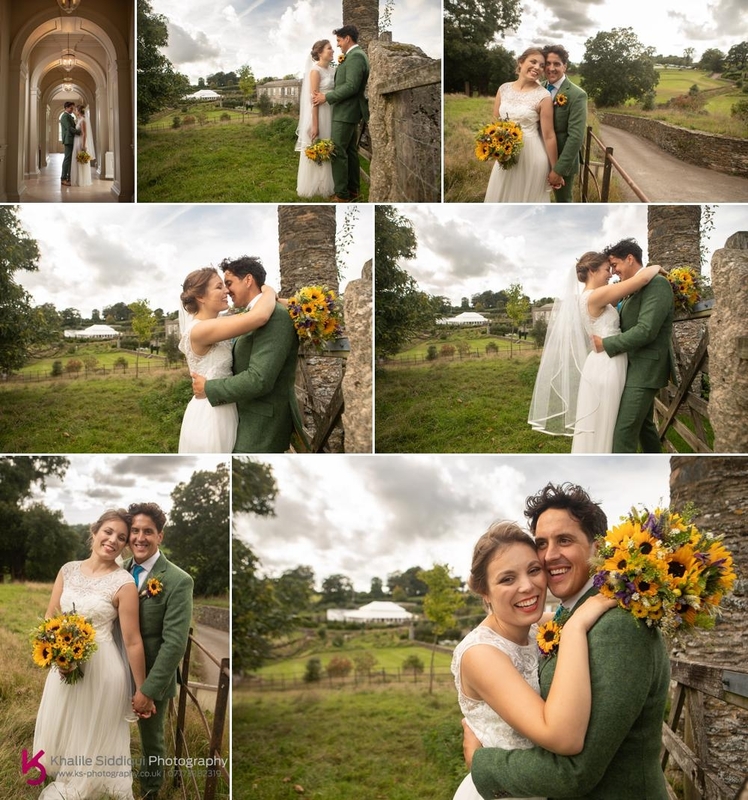 And after I did my venue visit back in June I only got more excited! 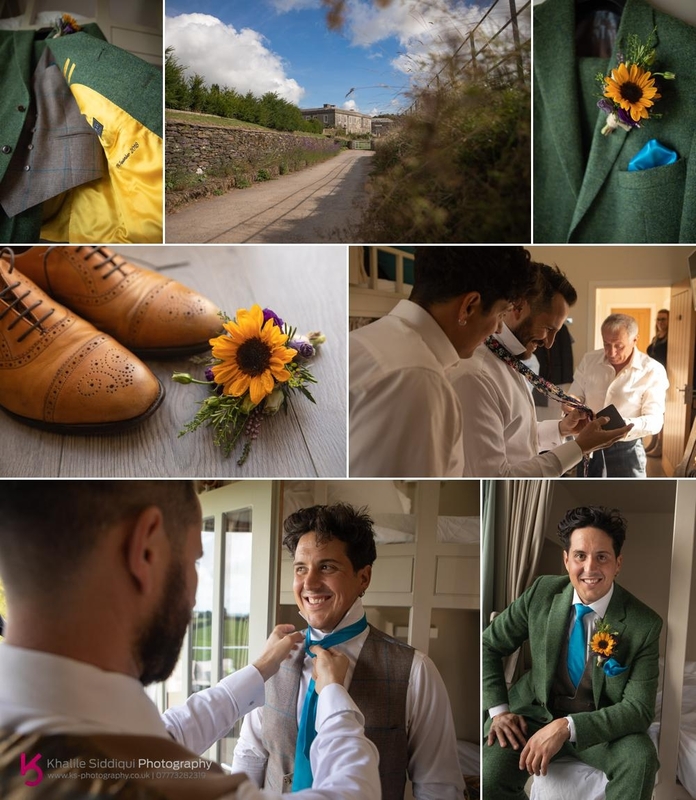 Shilstone has two beautifully appointed converted barns for accommodation for the bridal party, so first off I headed to the grooms encampment to see Adam and the groomsmen getting ready, and MAN did I have suit envy. 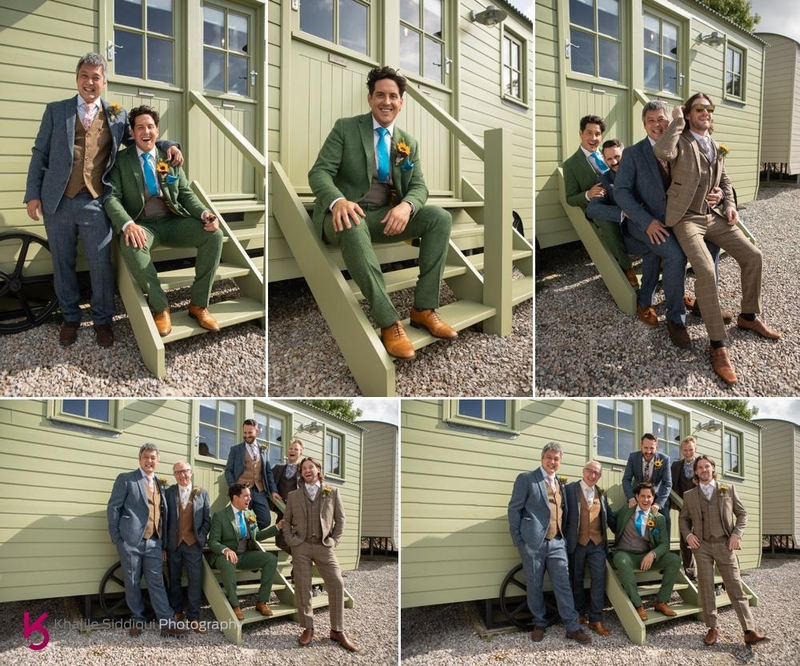 All the boys had individual three piece tweed suits and Adam's bespoke number came from 'Zabels' in Exeter. 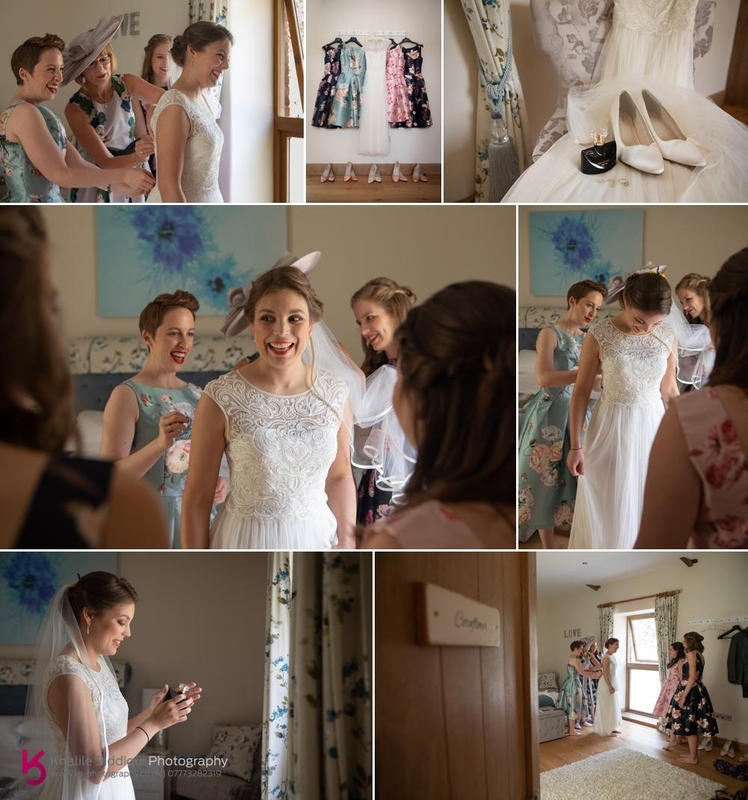 For the girls Emily purchased her effortlessly elegant ivory gown from Monsoon. Her four bridesmaids had floral knee length dresses in individual colours to match the boys and their ties. When I arrived Emily and the girls were nearing completion of hair and makeup carried out by Blush of Ashburton. Shilstone have a couple of golf cars to transport the key players around the site, but being a just lowly photographer ;0) I just walked up the hill to the waiting guests so I could get some action shots. The ceremony took place on the front steps of the main house, and the light was beautiful. 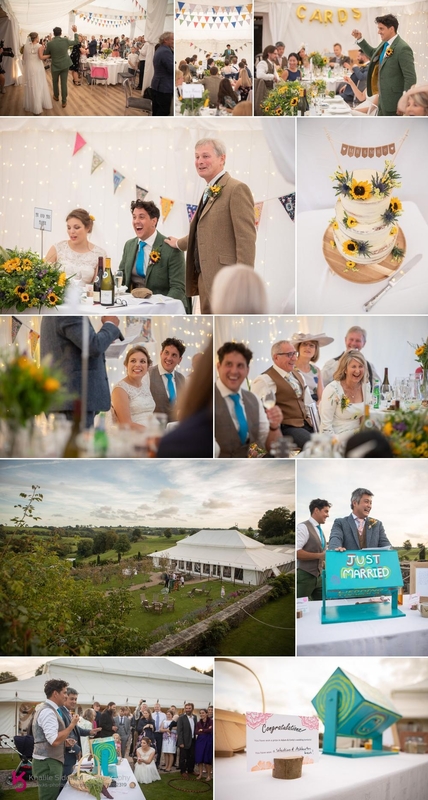 The ceremony was conducted exceptionally well by the registrar Paul (definitely worth asking for if you're having a civil ceremony in the area) you can tell when someone loves what they do, and it was clear to see that what Paul was doing wasn't just a job. 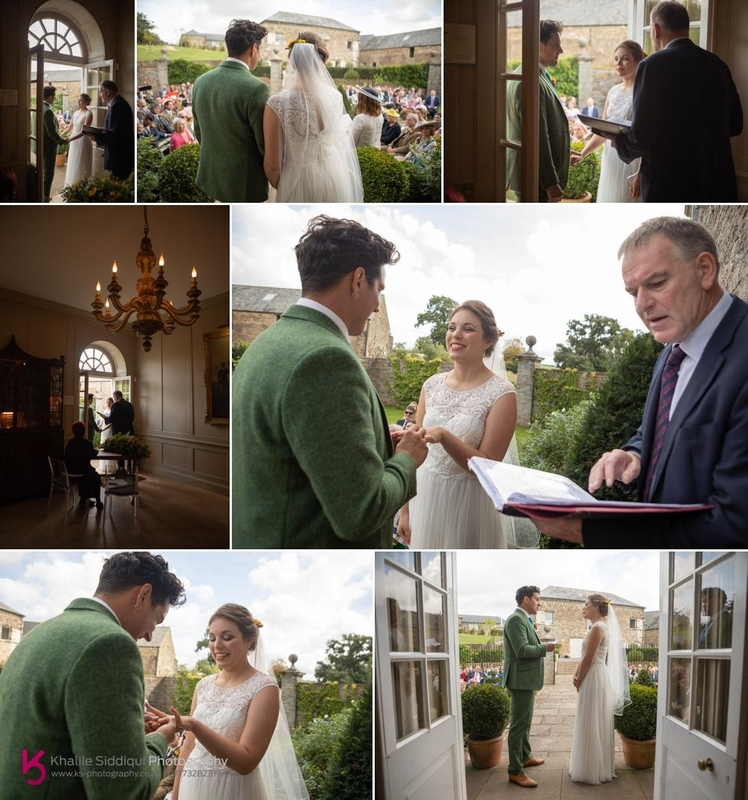 For an extra special touch Emily and Adam created their own wedding vows. 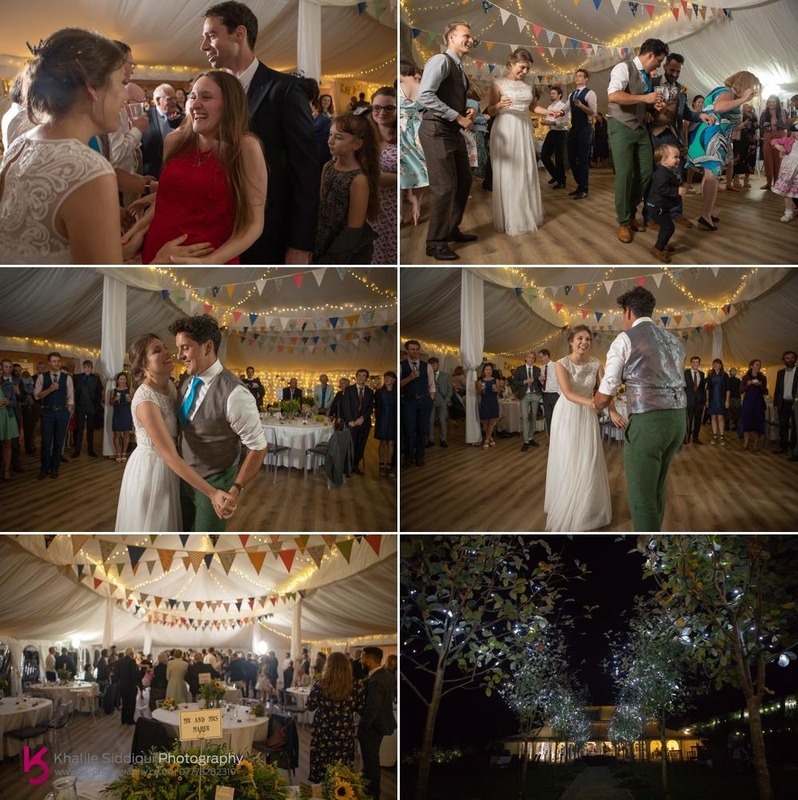 After a bit of confetti fun on the terraced lawns everyone came to congratulate our happy couple, and one of the guests brought over a new friend he'd made, a field mouse! While the guests made their way to the reception marquee I took Emily and Adam for a few photos around the grounds as we weren't allowed back near the house after the wedding breakfast. When it came to the speeches, Adam and Emily's father did their speeches before the food with the three best men performing theirs after the food. And as wedding favours Emily and Adam gave all their guests raffle tickets and at the end of the wedding breakfast everyone went outside onto the lawns where Yasu, the Japanese best man doubled up as a gameshow host and entertained the guests with his tombola while the marquee was prepared for the evening entertainment. Before we headed back in we got a few low light shots. 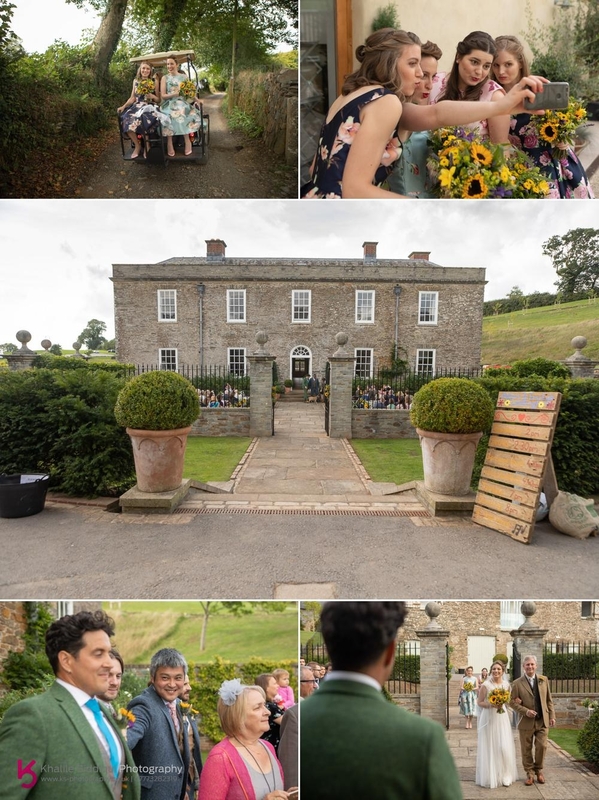 In the evening Emily and Adam recruited a local folk band called Harbottle & Jonas from Totnes to entertain the guest. 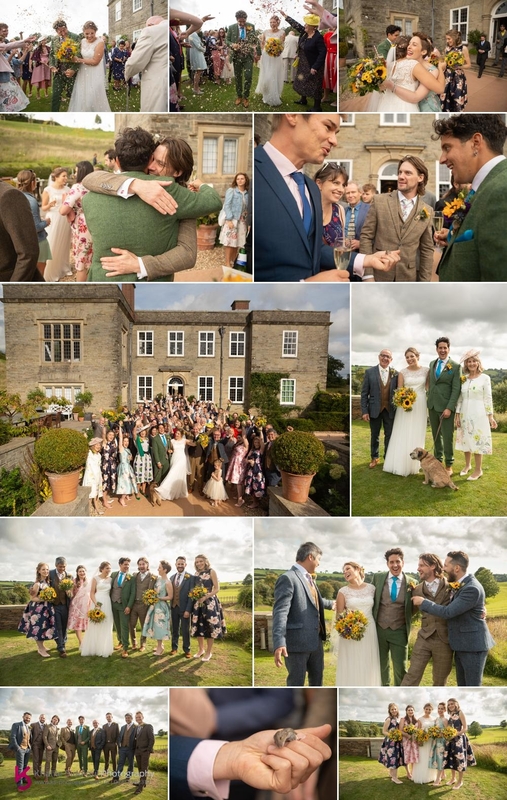 Dearest Emily and Adam, thank you so much for putting your faith in me, I truly loved your wedding experience, it really was a treat meeting all your wonderful colourful guests, and with a crowd like that I know that you're going to had an extremely wonderful life together!!! 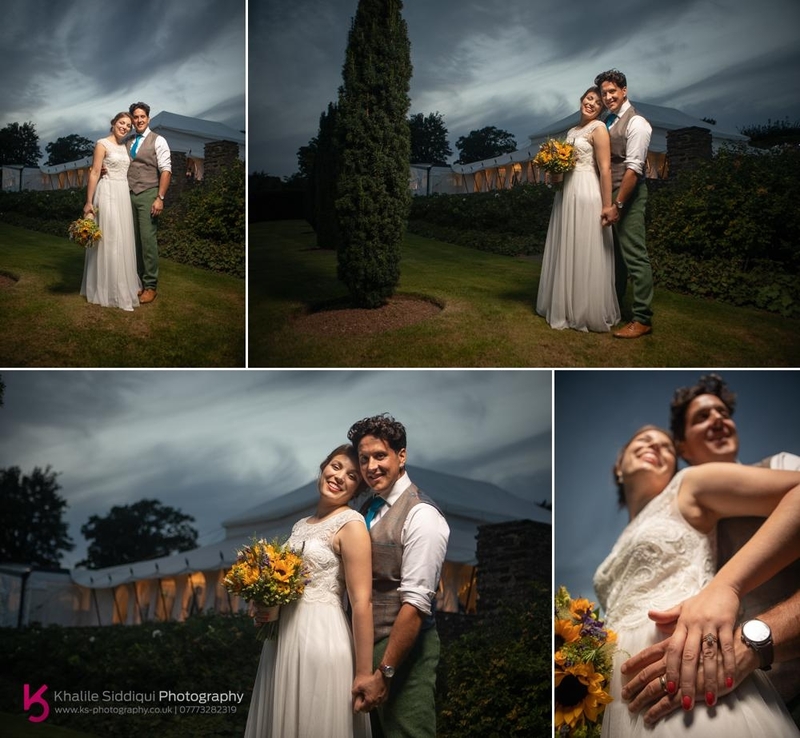 If you're planning your own wedding, be it big or small, home or away, please do check out our main weddings page for loads of helpful information to consider when booking your wedding photographer.